With so much fake news flying around out there on social media, and with *real* news being so freaking devastating, activists can easily get burnt out just trying to stay informed. Plus, you know, girls gotta make dinner. Enter podcasts! I've found podcasts are an awesome way to stay current and informed during this administration, and they have the added benefit of being multitask-friendly. I listen to podcasts while I cook, fold laundry, ride public transit -- basically all day long. Plus my 10-week-old son happily coos along thinking there's someone in the room when I have to duck out and hit the loo. I suspect this won't work once he gets to be more of a toddler, but I'm soaking it up for now. 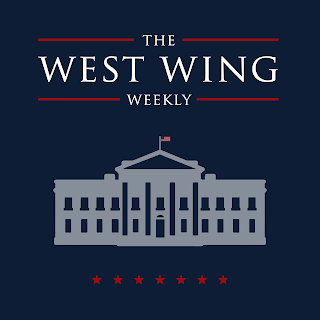 West Wing Weekly: Fans of early aughts TV drama West Wing might already be fans of this amazing podcast. Hosted by composer-musician Hrishikesh Hirway and actor Joshua Malina who played Will Bailey on West Wing, this podcast is a must-listen for both fans of the show and newcomers. 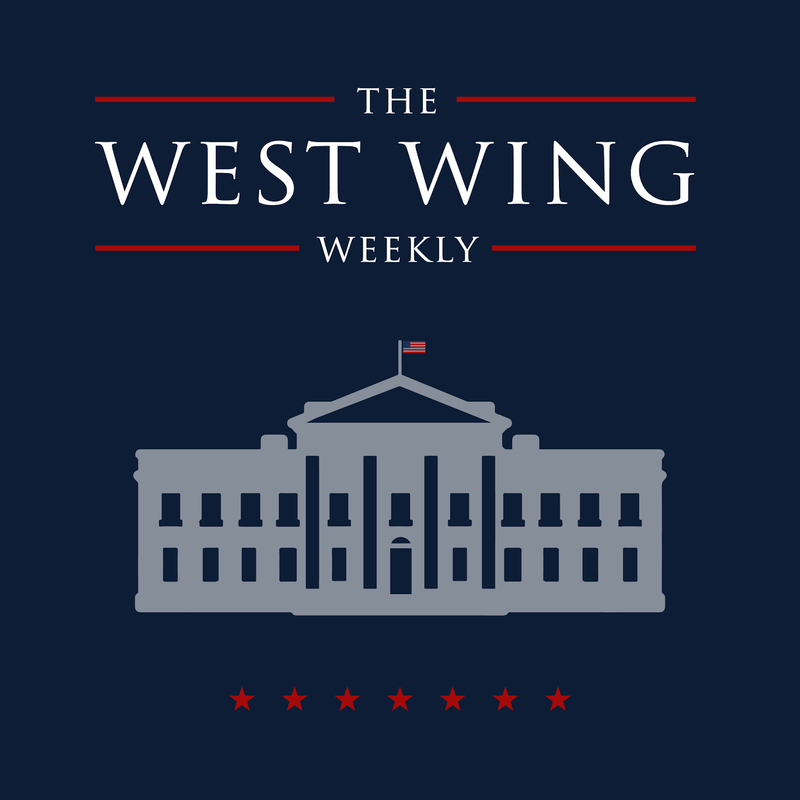 They break down every episode from each of their unique perspectives, they've had pretty much everyone who's been on West Wing as a guest on the show including Rob Lowe, Richard Schiff, Bradley Whitford, Dulé Hill, and Janel Moloney. There's a lot of dorky riffing going on, but also fascintingly in-depth discussions on topics such as veterans, American history, sexism in television and politics, racism, and anti-Antisemitism (Malina is Jewish and invited a rabbi on the show a couple times, so I've learned a lot about Judaism). Plus, an added bonus for literary-types: these two guys are incredibly intelligent word nerds and they love inventing goofy terms specific to the podcast (there's a glossary on their FAQ page). If you've never seen West Wing, it's on Netflix so you could have fun listening while you watch (though it's hard not to binge-watch). Definitely subscribe! Suggest First Listen: 1.10: In Excelsis Deo with Richard Schiff, who breaks down thinking about how moving the story for this episode was. 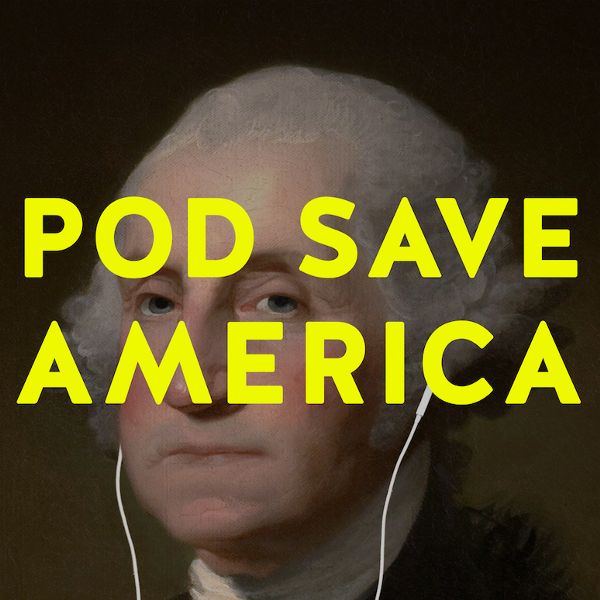 Pod Save America: I've only listened to a few of episodes of this podcast, mostly because it's more straight current events and I find I need a little pop culture with my news. However, podcasters Jon Favreau, Jon Lovett, and Tommy Vietor do make this an informational and passionate listen. Their mission, as describved on their website reads, "We couldn’t find a place to talk about politics the way actual human beings talk. So we decided to create one." While they are three white guys talking about politics, they make a point to bring on more marginalized voices, such as the first episode when they interview Tamika Mallory and Linda Sarsour, the two architects of the Women's March on Washington. This podcast is a great example of white folks using their privilege to elevate the voices of minorities. They were inspired to start this podcasts after DT won the election and they realized that it's hard to find good, solid reporting out there right now. They do a great job of being fair and balanced and demonstrating ways to thinking critically about how you take in media under a fascist regime. Suggested First Listen: Start at the beginning to get some context about what inspired them to start this podcast in the first place. Still Processing: This podcast is my everything right now. 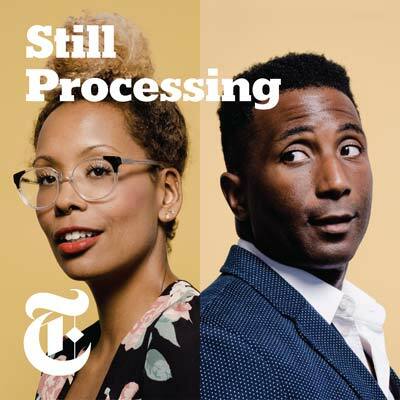 Produced by the New York Times, Still Processing is described as a "culture conversation with Wesley Morris and Jenna Wortham," both of whom are NYT columnists and really funny cool people. They are also Black and they speak to current events through that lens. They discuss pretty much everything from Beyoncé to Trump to the Oscars to Ru Paul's Drag Race, all from their perspectives and experiences as People of Color. This podcast has made me think about why it is so hard to have discussions about race in America. I grew up in a really white part of Pittsburgh. When I moved to San Francisco, I expected to make more friends with people of all backgrounds because it's supposed to be super-diverse and one of the least-segregated cities in America. That hasn't happened, so I still have very few close friends who are Black. (Part of that is my fault for not seeking them out in Black spaces, and part of that is how institutional racism works: keeping Black folks and white folks living in separate neighborhoods leads to more cultural misunderstandings, prejudice, and discrimination.) I am learning so much about Black culture because Wortham and Morris intelligently and lovingly share their personal experiences being Black. If you want to be an ally of the Black Lives Matter movement, add this podcast to your rotation. Suggested First Listen: It's a tie! I love love love episode 3 "Identity Is a Hoax, People!" where they interview RuPaul about identity politics. I also love love love episode 5 "Our Journey to the ‘Blacksonian’". Seriously, this episode honestly healed a little bit of white guilt for me. Listen, right now. I hope you enjoy these podcasts! Tell me what you think in the comments and feel free to share the podcasts that are helping you #resist.